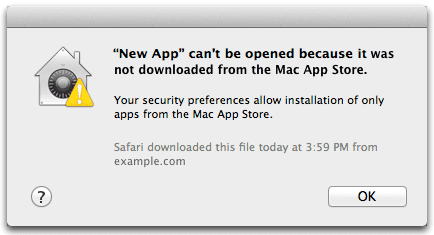 The OSX Gatekeeper found in OSX 10.7 and 10.8 will deny installation of non-apple verified programs by default. To allow the zipForm program to be installed you will need to click the “Lock” icon at the bottom right of the box, and then enter their OS Admin password. 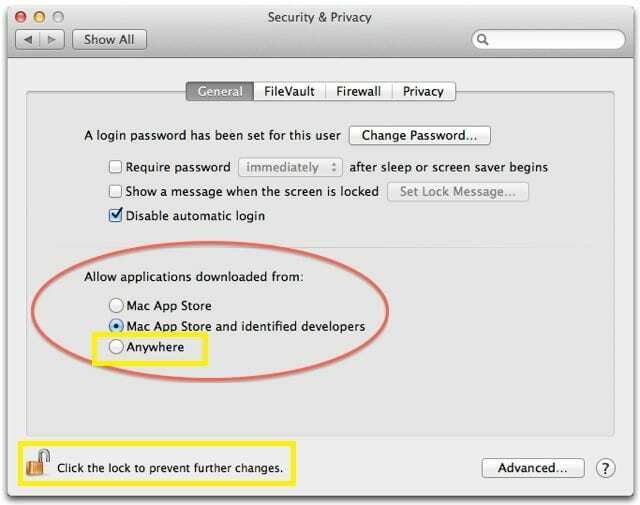 Then check “Anywhere“. 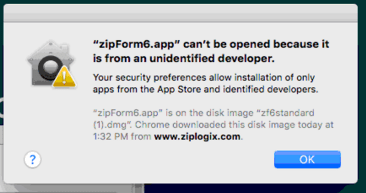 This will give you the ability to install the zipForm program.